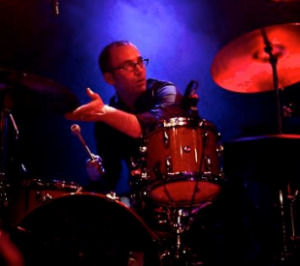 Derek Murphy is an accomplished drummer and session musician. He has recorded and toured with GRAMMY-winning singer/songwriter Angie Aparo for the last 11 years, and co-produced Aparo’s last record. Murphy has also recorded with Collective Soul, Fred Shafter, platinum-selling French artist Nolwenn Leroy, Adrianne and Aslyn (featuring the Muscle Shoals Rhythm Section). He has worked with award-winning producers such as Jimmy Johnson, Matt Serletic and Dann Huff. Murphy spends much of his time touring and recording in Europe with two-time Danish Music Award winner, Teitur. Murphy can be seen on Teitur’s live DVD recorded at the Holman Opera House in Copenhagen.